The ex-chairman of Darlington Football Club has been warned he is facing jail after admitting cheating the Inland Revenue out of £650,0000. George Reynolds, 68, and his cousin Richard Tennick, 58, admitted carrying out the tax scam between 1998 and 2004. Newcastle Crown Court heard how the pair who ran George Reynolds UK in Shildon acted with "cavalier contempt". Reynolds, of Monument Court, Durham, and Tennick, of Manfield, North Yorkshire, will be sentenced on Friday. Other charges, including evading liability by deception and money laundering, which they denied, were ordered to lie on file. The Crown offered no evidence against a third defendant, Reynolds' personal assistant Ian Robinson, who walked free from court. The court heard how Reynolds emerged from a childhood in poverty in the East End of Sunderland to be worth £260m and ranked at 112 in the Sunday Times Rich List 2000. After spells in and out of prison for safe cracking and burglary, Reynolds set up Direct Worktops to make kitchens. Eventually he sold the firm and invested about £27 million in Darlington FC. He is now almost penniless after his firm collapsed with debts of £3.4m. Prosecutor Christopher Knox said that Reynolds used money from his company's legitimate director's expense account to fund his lifestyle. He said: "In reality he used the company as his own bank account." Any benefit Reynolds gained from that money - such as cars and houses - should have been declared to HM Customs and Revenue as a taxable benefit. The court also heard how Reynolds paid himself a salary of more than £100,000 a year but in 2002 declared a taxable income of just a state pension - a tax liability of just £14. He bought a fleet of expensive cars including a Rolls-Royce, four Mercedes, a villa in Spain and became the next door neighbour of the Spice Girls in Hampstead. 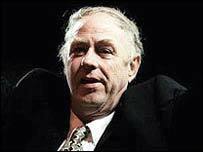 He bought Darlington FC for £800,000 in 1999 and had a dream of taking the club into the Premiership. However, the dream collapsed in January 2004 when the club went into administration and Reynolds quit as chairman.